Ok, I'll start I bought the phone about a year ago in early December, I found out about it on esato 2 months before I bought one, after looking at the photos it could take I decided it would be my next phone. I bought it mainly for the camera and that's where the phone excels. The C901 is very easy to use as a practical phone, the menus are simple and easy to flick through which makes the UI very fluid. It's very cheap but ironically has best camera out of the cyber-shot range. It gives you a better camera than the C905, at less than half the price! At such a low price (GBP �120 - �160) it's a bargain... that is, if you can find one to buy in the first place as Sony Ericsson have released the C901 to 'selected markets' only, which means it wont be released in the UK or most other countries so most people will have to buy online. The phone is avaliable in 3 different colours, Noble Black, Precious Peach, and Sincere Silver. There is also the C901 Greenheart which uses waterborne paint to give the Ocean White colour. as fast as it was originally. Physically the phone is small whilst also being very slim, it can fit into any pocket with no problem. However, for it's small size the phone is very heavy, compared to the K750 which is twice as thick, the C901 feels about double the weight. The keypad on the C901 is very different compared to standard keypads, the keys are curved with chrome strips seperating each row of keys. The phone is housed in a plastic casing that runs along the outside of the front of the phone and curves slightly at the back. The problem is that the plastic housing feels very cheap. It's a very glossy plastic which will easily slip out of your hands, partly due to its weight as well. It appears in it's product pictures as a matt, rubbery plastic that looks easy to grip, in reality the plastic is flimsy and shiny. The battery cover, which is used to grip the phone, doesn't have much grip and tends to slip out your hands - many times I have given the phone to someone and they have nearly dropped it or commented about its weight. The battery cover will start to creak if it's opened many times, it's made out of a thin plastic cover that's very flimsy and you can bend it very easily in your hands. After a few months the chrome ring around the D-pad starts to wear off too and the camera cover tends to slide open without me realizing because it only takes a small force to open it and it doesnt provide much grip. A good point about the build quality is that, despite the phone casing being made out of plastic, the phone is actually very durable, I have dropped it many times onto concrete where a normal phone would have broken, but the C901 has survived every fall. It has a metal body underneath the plastic casing which makes it very robust. The 2.2" screen takes up most of the front side of the C901 and provides good colours and contrast. But it makes the 5MP photos hard to view in their original quality, you have to zoom in on the photo to show any detail. The screen is scratch resistant and it does a pretty good job at preventing damage. The main issue with the display is the light sensor, the display can go from very dark to very light because the sensor isn't accurate. However, the light sensor can be disabled with a patch and most of the time the display is easy to read, even in very bright sunlight. 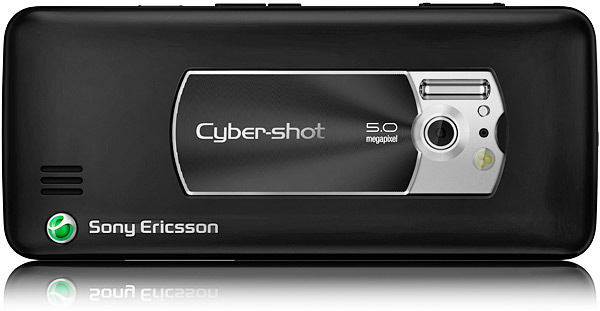 Arguably the best camera of 'C' and 'K' series from Sony Ericsson. Although it hasn't been marketed like the C905 has, suprisingly it produces much more detail in its photos. Photo quality is also better than the C902 (and C903) which lacks the xenon flash of the C901 and suffers from purple fringing. Unfortunately the video recording quality is dissapointing, at QVGA resolution, the C901 definately isn't the phone to choose if you demand good video recording quality. But it makes up for it with it's still camera, it's potential is incredible. There are lots of camera settings which help you get the best shot in any sitaution. The xenon flash works well in most lighting conditions, it works especially well for night portraits. The C901 photo thread speaks for itself. The antenna is in the bottom right hand corner, so every time you hold the phone in your right hand whilst browsing the internet or especially watching youtube videos, the HSDPA signal drops so you can't load pages quickly and videos freeze and buffer. There are no problems with calling and there hasn't been any situations where a call is ended due to loss of signal. Overall the C901 is a great phone, it's only let down by it's plastic feel and build quality, but at the same time that saves money and brings the price of the phone down. It offers all the features expected of a standard Cyber-shot phone and combines that with a fantastic camera module at a very low price tag... it's the perfect choice for anyone wanting a simple, easy to use phone with a great camera. That's why I would certainly recommend the C901. I never had a C901 but I did recommend it to some people. Nice review Matt puts mine to shame but I thought the c901 had a 2.4 inch display?? His WAP device let him down, he should have got a C901.